Beware the Celt, for his warrior spirit is indomitable! Want proof? 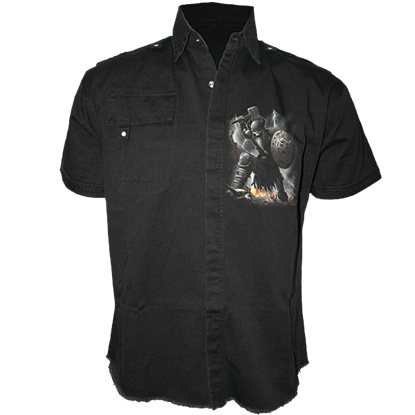 Look no further than this Celtic Warrior Short Sleeved Work Shirt, which shows off the raw power of the warrior, even as he rises from the grave to battle his enemies. No chance is left when Death exposes his skeletal visage to his victim. 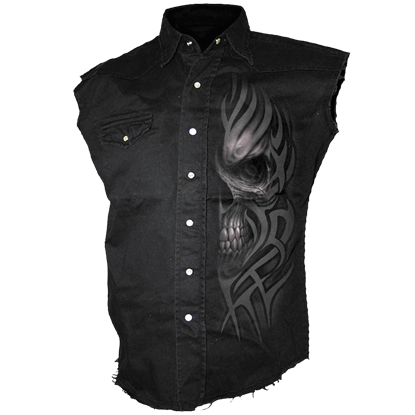 The Death Rage Sleeveless Stonewashed Shirt displays the close-up face of the grim reaper in intricate detail over the back, teeth bared in a macabre grin. Have you ever wanted to own a dragon? 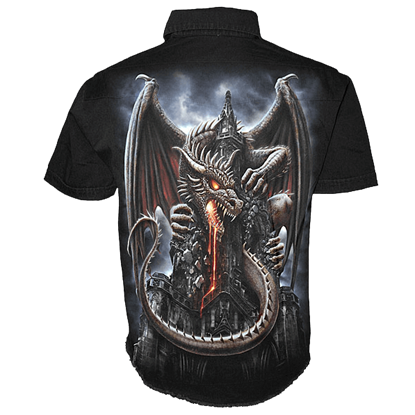 When you wear this Dragon Furnace Short Sleeve Work Shirt, you put a raging dragon under your control as it escapes its prison. With its fearsome look, this is one dragon that few will challenge. If life is a game, then these are the words that you do not want to see. 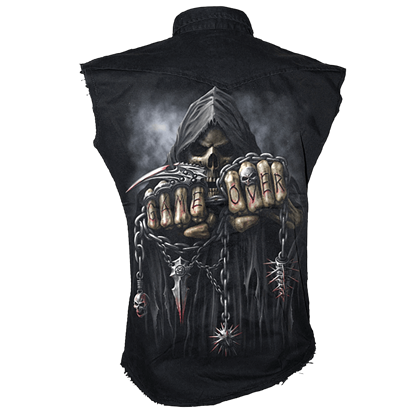 And in this Game Over Mens Workshirt, they are backed by the wicked figure of the Grim Reaper himself, ready to make sure your game is permanently over. There is not much that can beat the casual comfort of a button-up shirt. 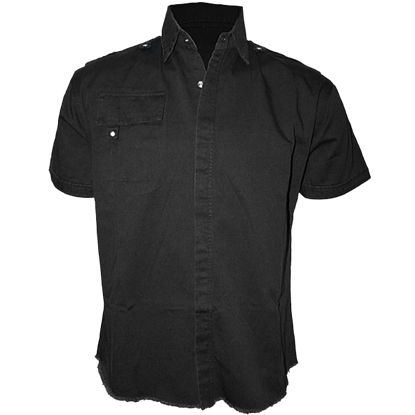 Gentlemen, you are in luck, because this Gothic Short Sleeved Workshirt comes with a dose of gothic style, making it a great casual addition to your attire. 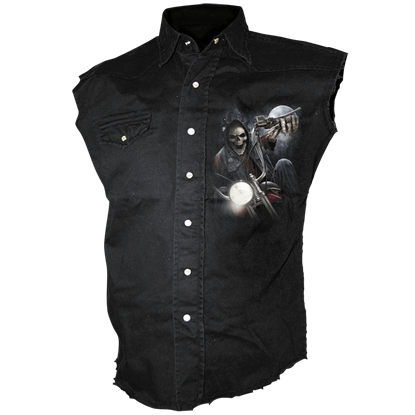 Answering the call of his deceased brethren, a skeleton biker rides his motorbike swiftly through the witching hour to meet with the congregation of the fallen, shown in the dark design of the Night Church Sleeveless Stone Wash Shirt. In the breaking dawn, the sun rays seep through the forest to illuminate this Grim Reaper as he stands over the remains of his handiwork. 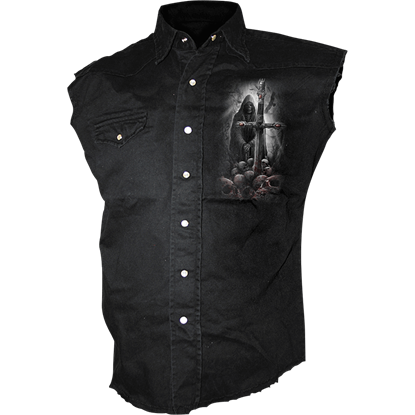 The Soul Searcher Sleeveless Stone Wash Workshirtfeatures a collar and front fastenings. For some soldiers the fight is never over, and this is one soul who remains as fearless in death as they were in life. 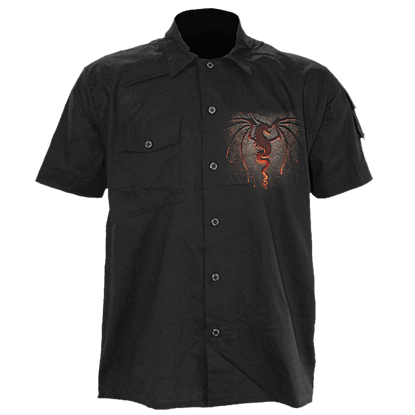 This Undead Special Forces Short Sleeve Work Shirt features the weapons of war and a symbol for the undead soldier. 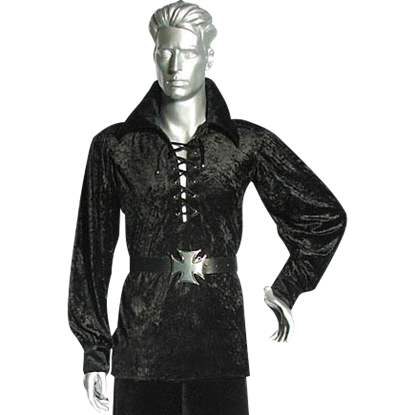 The Velour Vampire Shirt is an attractive shirt that features touches of gothic style. This shirt is made from velour fabric to suite the tastes of nightly creatures. 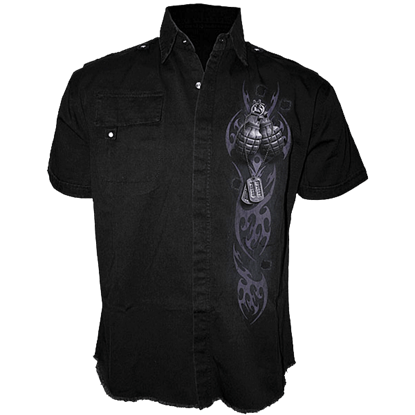 The shirt comes in several colors, although dark shades suit it best. Oddly enough, the style of clothing post-apocalypse has already been quite well-defined. The reign of chaos and the fall of mans empires sees the rise of intriguing garments like this Widespread Chaos Mesh Tank Top. Do you dream of wolves? Are your nights filled with visions of the moon, of the wilds, of the hunt? 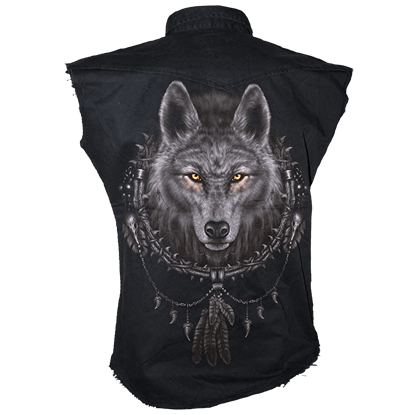 Perhaps you are already one of the pack, and if that is true, then show it, by wearing this Wolf Dreams Mens Workshirt.